All payment records for extending/upgrading current licenses are kept in the system. 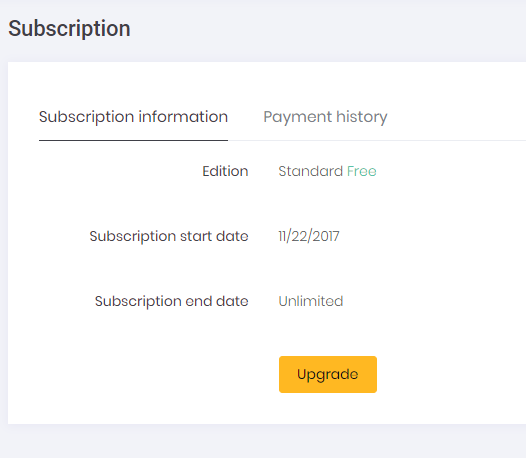 These records can be seen on "Payment History" tab on subscription page. Tenants can also create & print invoices for these payments by clicking the "Show Invoice" button. System will automatically generate an invoice number and show the generated invoice. In order to use this function, both Host & Tenant must set invoice informations on host setting/tenant setting page. 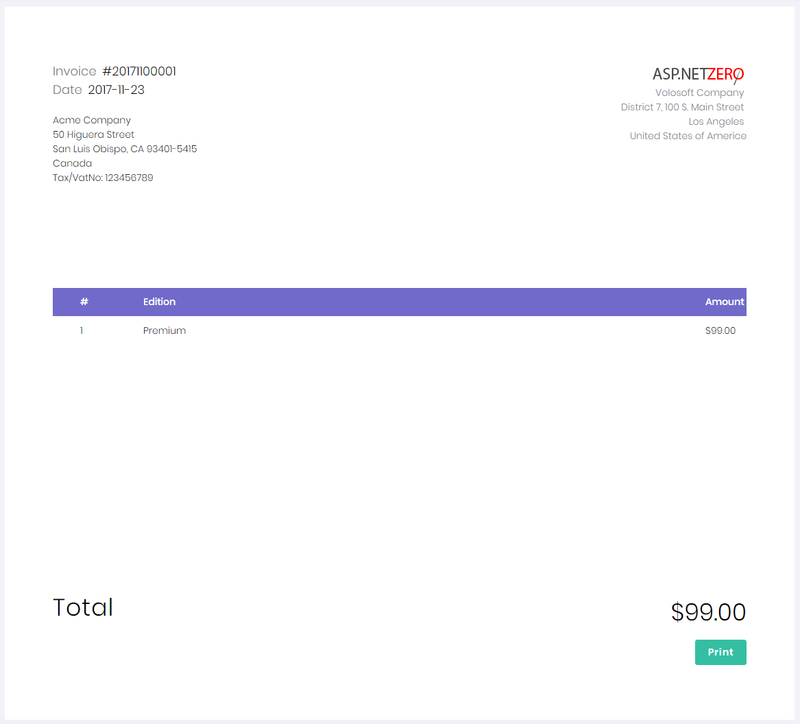 AspNet Zeros subscription system allows using two payment gateways, one is PayPal and the other one is Stripe. You can configure both payment gateways in the appsettings.json file in *.Web.Mvc project.